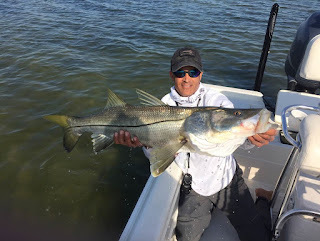 Triple C Charters: LET'S GO FISHING!! water where the water is a bit cooler and more oxygenated. Redfish have been running the mangrove edges and oyster bars at high tide. We've also found them hiding under docks during the heat of the day. The mangrove snapper bite continues to get better as we reach the peak of their summer spawn. Small scaled sardines are abundant right now and make excellent bait for these tasty fish. Clients have had no trouble catching their limit of 5 per person. Most are in the 15" range but we had one this week that was over 21"! 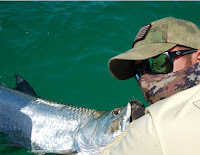 The spanish mackerel are here but the bite is inconsistent where some days we get a couple dozen and others we can't get away from the ladyfish. 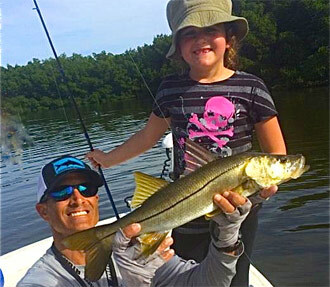 These ladyfish are very acrobatic, hard fighters and although super fun for the kids, don't make good fish dip! Other hot bites right now include flounder and pompano. These two species are not only great fighters, they make awesome table fare. There is no reason the hot fishing shouldn't continue so... don't miss out!! If you are out on the water this summer, please be safe and courteous to others and most important of all..Take a kid fishing!! Tight Lines, Capt. Chris (813) 908-6222.